New Delhi [India], Mar 13 (ANI): Australia won the toss and asked India to bowl first in the final match of the ongoing five-match ODI series here at the Feroz Shah Kotla Stadium on Wednesday. 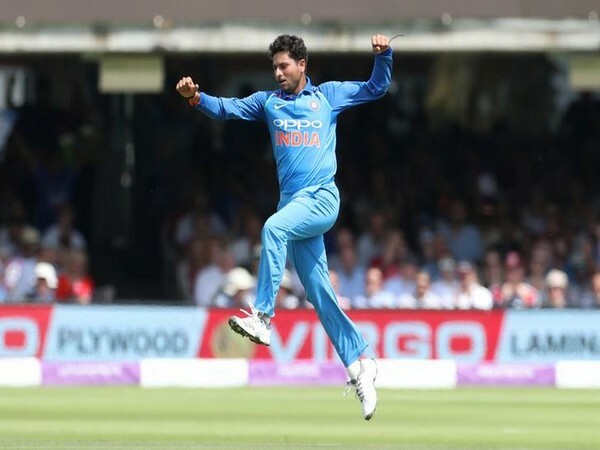 Hyderabad(Telangana) [India], Mar 02 (ANI): Kuldeep Yadav and Yuzvendra Chahal have developed a sensational spinning duo among themselves enabling the Indian team to be consistent in the middle overs, picking up wickets at regular intervals and drying up the runs for the opponents. Hyderabad (Telangana) [India], Mar 1 (ANI): India skipper Virat Kohli on Friday said based on the requirement of the team, he will be "more than happy to bat at number four" in the World Cup, beginning May 30. New Delhi [India], Feb 22 (ANI): Indian spin bowler Yuzvendra Chahal on Friday expressed anger over the Pulwama attack and demanded a “firm action” against those behind the barbaric attack. Dubai [UAE]. Feb 4 (ANI): India leg-spinner Yuzvendra Chahal entered into the top five among the bowlers in the updated ICC ODI players rankings, released on Monday. Melbourne [Australia], Jan 18 (ANI): Indian captain Virat Kohli on Fridday said that he personally felt that batting at number five is the best-suited spot for MS Dhoni as he can finish off the game. New Delhi [India], Nov 2 (ANI): Indian pacer Jasprit Bumrah has retained his number one position, while leg-spinner Yuzvendra Chahal has broken into top 10 in the latest International Cricket Council (ICC) ODI rankings for bowlers.